"Brown’s exploration of loss is raw and devastating, placing readers directly into Jess’s turbulent experience through evocative present tense narration interspersed with vivid flashback chapters. The supporting characters are also complex and distinct. 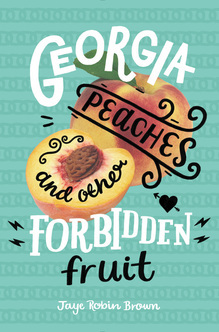 Brown captures the ambivalence of grief in this searing and ultimately hopeful novel." ON SHELVES NOW! FROM Harper Teen. Will McKinney is a bad boy. At least, he used to be. After nearly getting arrested for some poor decisions involving prescription drugs, Will has been trying to turn over a new leaf. Well, it’s that or suffer the wrath of his father, the judge. Will's starting to get his life in Sevenmile, North Carolina, in order. He’s applying to colleges. He's dating the most popular girl at school. And he recently discovered a love of playing the banjo and performing in front of a crowd. But it's that same love of music that draws him to Amber Vaughn, his younger teenage brother's best friend. Now Will finds himself wondering if he just might really be a bad guy because even though he's got a girlfriend, he can't stop thinking about Amber. 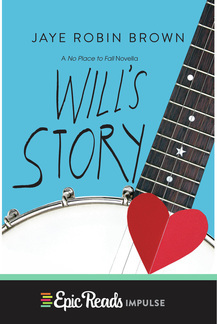 Will’s Story is a companion novella to Jaye Robin Brown's young adult debut, No Place to Fall, and perfect for fans of her novel and newcomers alike. 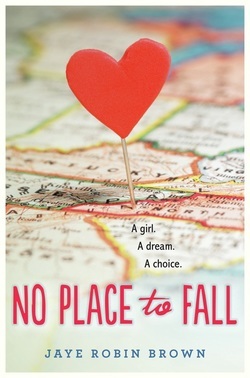 NO PLACE TO FALL - ON SHELVES NOW. The Sky is Everywhere meets This lullaby in a poignant debut novel about family, friendships, and first romance.